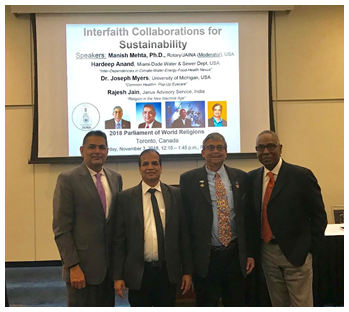 Two EcoCiv sessions were held at 2018 Parliament of the World’s Religions emphasizing ways to simultaneously Reduce Our Carbon Footprint and Karmic Footprint. Read more about it below. JAINA Convention 2019 preparations are on in full swing. Over 2000 people have registered so far. Book your spot now to not miss an amazing Convention. Q 1: What is the Atthai? Q 2: What is the Maskhaman? The aim of two Parliament sessions was two-fold: (1) To illustrate how our Jain beliefs in Non-Violence and Jain Way of Life recognize the inter-dependence of life and balancing of consumption and economic activity with ecology and environment; and (2) To illustrate how Jains live and work, make positive career choices, and influence other faiths (in spite of our small population in the world) on the ecological front due to our ability to partner and leverage with interfaith groups and civic organizations, which allows Jains to promote our core values of compassion and care for humans and all life forms. 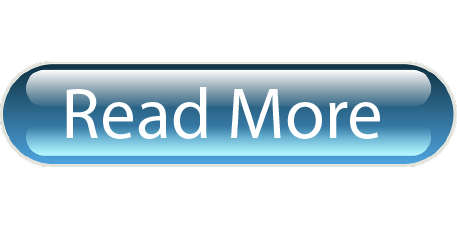 As Holiday season approaches each year, there come many opportunities for Charitable giving. Are you passionate about helping our community? We humbly appeal to you to consider giving your contributions to JAINA. Every dollar you contribute gets used in various programs that are designed to advance our young and adults to learn and cherish our culture in so many ways. Attached link gives you an idea as to how many different ways you can contribute to JAINA projects. Please ask your tax advisor as to how it will impact you personally. But move fast—there are only a few days left in this year to donate. Mumukshu Aradhana didi Deliwala, daughter of Shrimati Poonamben Manojbhai Deliwala, has taken the brave decision of adopting Jain Diksha at the young age of 17 years. Born and brought up in Rajkot, she has recently completed her grade 10 examinations from the Gujarat state board with 99.94 percentile, securing the 6th position across the state from among 11 lakh students. Today, at such a tender age, Aradhana didi has already learned and mastered Samayik-Pratikraman-Shri Avashyak Sutra, Shri Puchhinsunam Sutra, several Gathas from Shri Dashvaikalik Sutra and 100+ Jain stavans and hymns. Doctors were astonished to see the equanimity of Mumukshu Aaradhanaben as she had a pleasant smile on her face even on the operation table while getting 27 stitches on her head Truly justifying the brave path of Saiyam, even amidst a crucial medical state and a severe injury she entered the Diksha Mandap with undeterred faith and determination to adopt Panch Mahavrat and couldn't wait to adorn the Vesh of Parmatma! 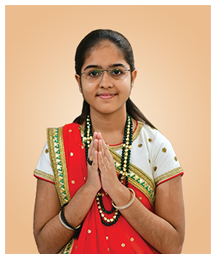 Mumukshu Upasana didi Sheth, daughter of Shri Hetalben Sanjaybhai Sheth and the granddaughter of Rajkot Mahavirnagar Upashray’s sangh pramukh – Shri Kantibhai Ladhabhai Sheth, is eager to advance on the path of Saiyam and adopt Jain Diksha. Brought up in the lap of luxury, utmost love and care, Upasana didi’s childhood is one that any individual would dream of. A national level basketball player, a guitarist and a dance enthusiast, Upasana Didi has always been a bubbling source of ideas, energy, and creativity. 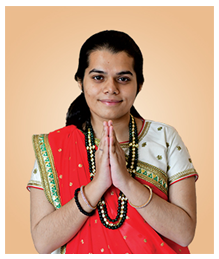 Having spent the last six years as a Sadhak in Rashtrasant Pujya Gurudev Shree Namramuni Maharaj Saheb’s sanidhya, Upasana didi has inspired and supported several souls on this valourous path and now readies herself to do the same at the young age of 24 years she gave up the mundanity of sansar to embrace the sadhak lifestyle in Pujya Gurudev’s sanidhya at the age of 18 years, to initiate her training for adopting Diksha. A series of historical events have unfolded on the gracious land of Girnar, making it glorious for withstanding numerous storms of arguments and controversies. With the passage of time, there have been pages after pages in History, documenting many instances of dissention on the ownership of Girnar. Documented in letters of gold in the history of Jainism, this is one such instance of five sons of trader Dhar, who sacrificed their lives for the cause of devotion to this shrine. As he watched the holy land that had turned into a battlefield and the five bloodied dead bodies of his brave sons, trader Dhar’s deepest desire was still unfulfilled. As he took the steps backwards to his home, he was actually determining to leap forward. Despite having sacrificed five sons at the altar of Jainism, trader Dhar was still not at peace. Every passing day further sharpened his pangs to ensure Shwetambar ownership of Girnar. YJA 2020 Host City Interest Survey has been released! Did you attend the 2018 YJA Convention or hear about how much fun it was? Wish it had been hosted in your hometown? Retreat season is officially upon us! Retreat registration will begin in January, exact dates varying depending on your region. This year, the Mid-Atlantic and Northeast will be joining forces to put on the biggest YJA retreat in history at Poconos, as per dearly loved Mid-Atlantic tradition. Poconos and Mid-West retreats will be held in February, followed by South, Southeast, and West in March. Get ready for the most hype retreats and stay tuned for more information regarding location, registration, and transportation! The retreat dates are as follows: Poconos (Mid-Atlantic + Northeast) 2/15-2/17; Mid-West 2/22-2/24; South 3/15-3/17; Southeast 3/29-3/31; West 3/29-3/31. 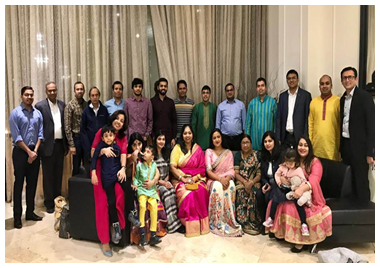 On November 18, 2018, YJP Toronto and JYOT (Young Jains of Toronto) attended a grandiose Diwali celebration hosted by Jain Jagruti and the Jain Society of Toronto. They celebrated the newly formed YJP Toronto and appreciated all who attended and came together to put together this wonderful event. A 2: Maskhaman means upavas for continuous one month.